This is THE book returners should be getting their employer to read and act on! Written in partnership with David Clutterbuck. Mentoring New Parents at Work makes the case for dedicated mentoring programmes in the workplace as a sustainable way of supporting new parents and improving talent retention for employers. It offers timely, practical guidance for each stage of the mentoring journey, from building the business case through to ideas for mentoring workshops. The book balances theory and practice, and provides practical tools, techniques and real life case studies from a range of countries and organisations to illustrate good practice. Mentoring New Parents at Work is a resource for HR practitioners and line managers who want to retain and support new parents, helping pave the way for gender diversity at all levels of their organisations. ‘Mentoring New Parents at Work’ is available in hard back, soft back and e-formats. Published by Routledge in July 2016, it is available for purchase on Amazon now. Interested to find out more? 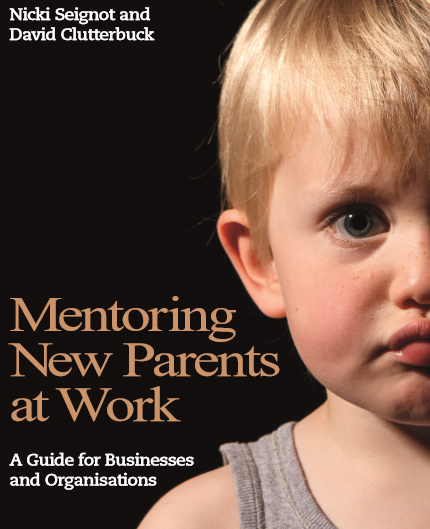 Do take a look at the Forewords for Mentoring New Parents at Work from renowned international coach and author David Clutterbuck and executive leadership coach Rachel Ellison MBE. An essential part of the internal mentors’ toolkit. Great questions are at the heart of great mentoring conversations. Asked at an appropriate time and with sensitivity, they are an invitation to explore ideas, issues and concerns in a safe space. 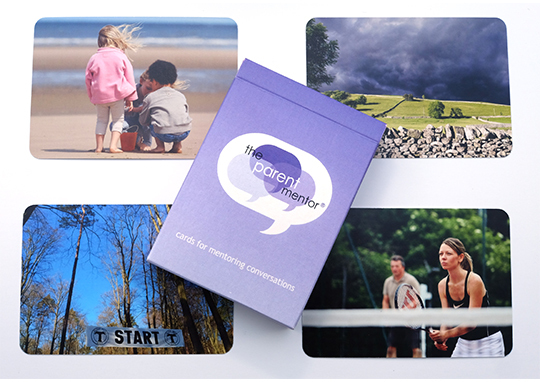 These 48 cards have been created with experiences of returning parents in mind. The cards come complete with a leaflet outlining different approaches and suggestions for activities. The Equalities and Human Rights Commission estimates maternity discrimination results in 54000 women losing their job each year in the UK. This led to them setting up Working Forward a collaboration of employers and industry bodies aiming to make UK workplaces the best they can be for pregnant women and new parents. Their research (published February 2018) accuses British employers of ‘living in the dark ages’ with ‘worrying attitudes’ and ‘unlawful behaviour when it comes to recruiting women’ – in particular Small Medium Enterprises. Click here for a link to their findings.